Knee Pain while Sitting and Standing - What might be the reason? 2 most popular reasons for Knee pain while sitting and standing up due to Patellofemoral pain syndrome and knee osteoarthritis. 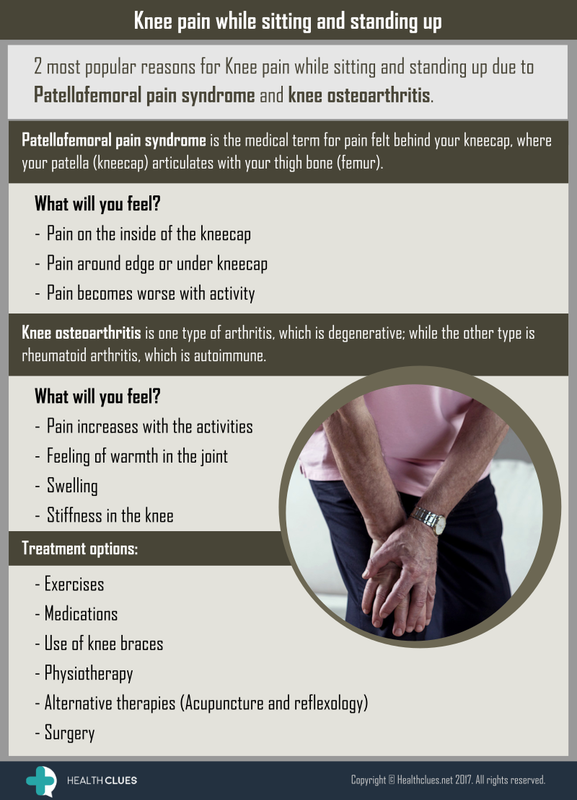 Patellofemoral pain syndrome is the medical term for pain felt behind your kneecap, where your patella (kneecap) articulates with your thigh bone (femur). Knee osteoarthritis is one type of arthritis, which is degenerative; while the other type is rheumatoid arthritis, which is autoimmune. 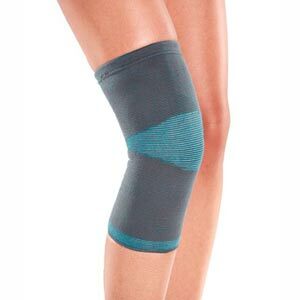 Knee Pain knee osteoarthritis, knee pain, Knee Pain Causes, knee pain treatment, knee pain while sitting, Knee pain while standing, osteoarthritis, Patellofemoral pain syndrome, stiffness, swelling. permalink.